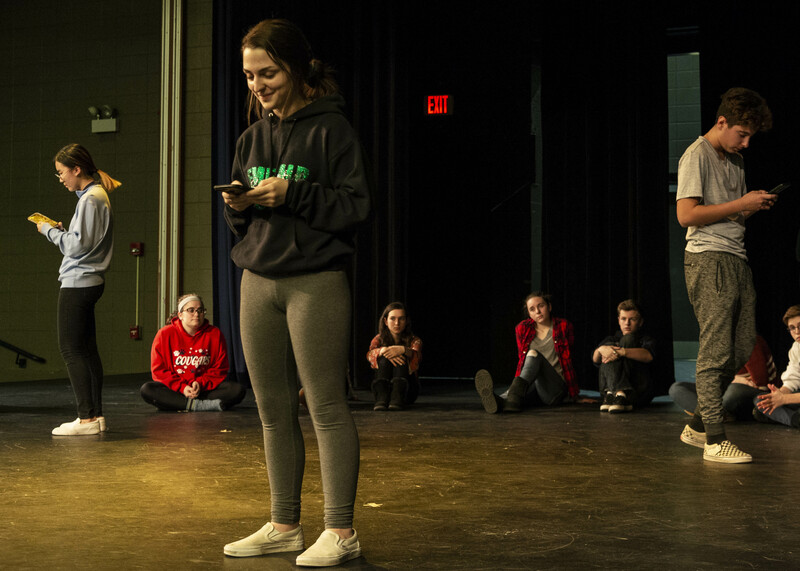 When the James B. Conant High School’s Conant Theater takes the stage February 8, they will be presenting the newer play “subtext,” which delves into the experiences of 21st century teenagers through a variety of short segments told in the round. “This play brings attention to several issues close to my heart,” said Conant High School Winter Play Sponsor Stephanie Svarz. The play was written by Tyler Dwiggins, who Svarz meet while both were at Northwestern University in 2011. She spoke with Dwiggins during the recent winter break looking for a possible play. 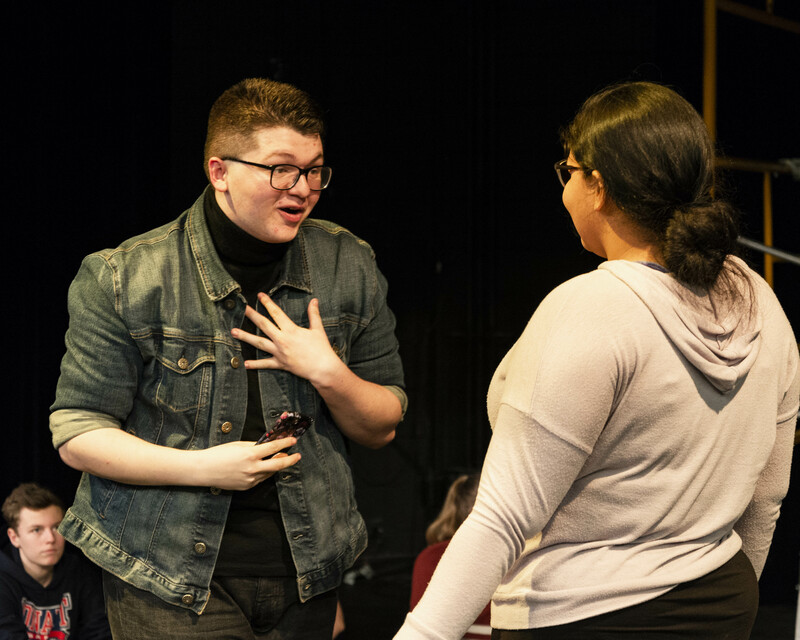 Svarz said the performance brings together a collection of students which ranges from newer performers to veteran members of the acting club. 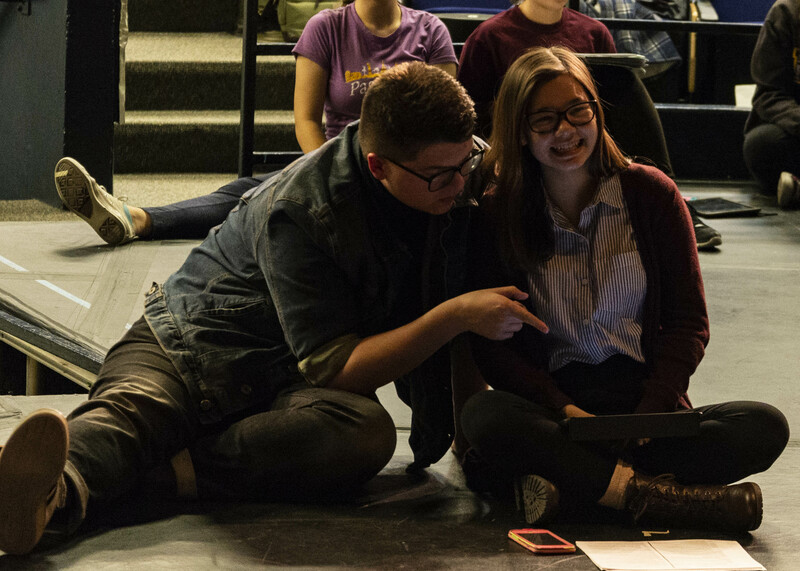 One student, who is relatively new to Conant’s productions is senior Jeffrey Pagels. Pagels first acted with the theatre group one year ago and said the group is like a family to him. “This is a family like no other. It may sound cliché, but we have a closeness that doesn’t exist in other clubs or groups,” he said. On top of acting in the play, Pagels has used his artistic skills to create some of the publicity material for the production. Junior Ailey Yamamoto, one of the student directors, has been with Conant Theater since she was a freshman because she is “loud.” She added that the people in the group are her kind of people who always have something kind to say. While she is helping to direct this play, she says she is more comfortable acting on stage. Pagels has advice for anyone considering theater.